Company – Pittsfield Plastics Engineering, Inc.
Pittsfield Plastics is an ISO 9001:2008 certified company, housed in an updated 80,000 square-foot manufacturing facility with over three dozen pieces of high-end production equipment for all aspects of plastics injection molding, custom molding and more. The company is based in the “Plastics Capital of North America” – Pittsfield, Massachusetts – an area with a high concentration of technology, resources and employee training. David and Dorothy Chiorgno opened Pittsfield Plastics in 1968. 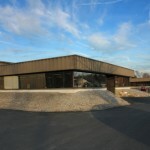 Pittsfield Plastics has grown and expanded to meet customer needs and respond to opportunities, now offering not only plastic spools, reels, cores, cones, and bobbins, but also extensive custom molding, injection molding, and plastic extrusion services to customers throughout and beyond the Americas. 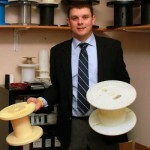 Customers seek us out for products ranging from custom plastic parts, plastic spools, plastic bobbins, plastic cores, extruded plastic specialties, and more. 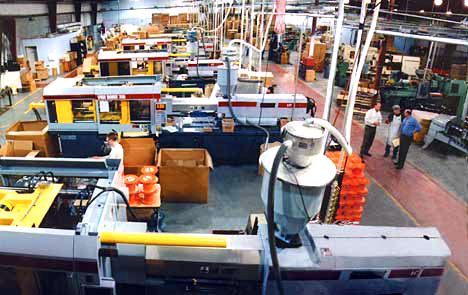 Pittsfield Plastics is positioned as a key supplier to the wire, cable and textile industries, as well as other manufacturing companies with custom molding, injection molding or plastic extrusion requirements. Pittsfield Plastics strives to provide every customer (large or small) with the same excellent and responsive service, and to respond to every order (large or small) with the same commitment to fair pricing, excellent quality and on-time delivery. Pittsfield Plastics assures quality through state-of-the-art quality control, equipment and procedures. Growth is based on exceeding our customers’ expectations. Commitment to innovation and product enhancement parallels our commitment to our customers. Click here to view more about our key personnel. When you need a custom tool developed for your product, talk with us. 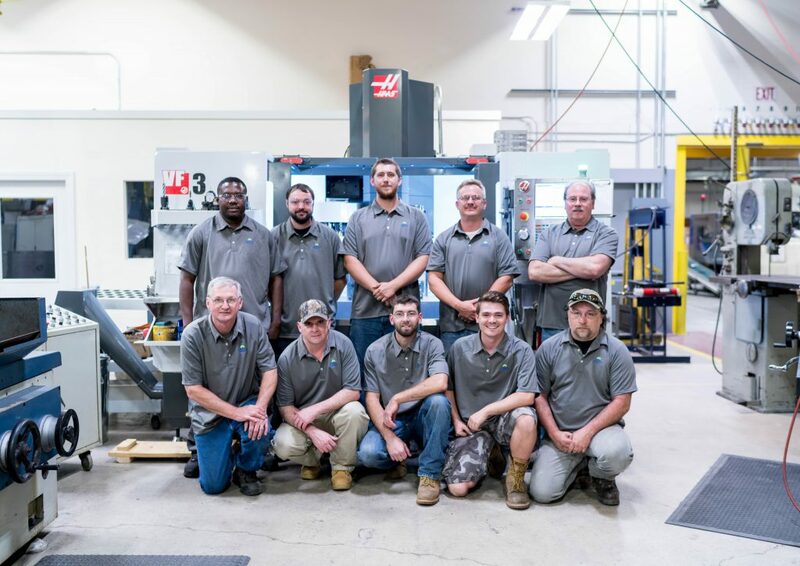 Pittsfield Plastics Engineering offers a complete, modern tool room staffed by experienced professional tool makers including expert tooling engineers. We provide outstanding tool design services. Our tooling engineers will design your tool, defining all critical aspects such as mechanical action, ejection, manifold design, and runner system. Next, we work with you to develop a specification sheet. That sheet is used to develop a basis to compare sources. 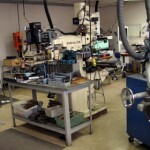 We can source your tool domestically in our own shop. Or, we can source your tool in the Far East or Eastern Europe. We conduct an interactive process of selection of the vendor. After a joint decision is made, we award the purchase order and begin the process of monitoring the progress of the mold. If needed we schedule visits to the vendor to monitor construction. Working with you, we will conduct review and final tool acceptance at the vendor’s shop. Once the tool is accepted, it is crated and shipped to our production facility. We maintain all tools for our customers, assuring that they are always production ready and secure. Beyond the products we offer, and beyond all Pittsfield Plastics’ product development, consulting, innovation, and dedication to product quality, there is more. At Pittsfield Plastics, we know that our customer relationships are critical to the continued business growth and development – yours and ours. We translate that knowledge into our commitment to your complete satisfaction. Unsurpassed customer service and technical support: Responsiveness is not just a word to us. It’s our way of doing business. Even as we continually modernize our equipment, technology and facilities, it’s our people who pull it all together and make it work for you. Reliable, on-time delivery: Getting the finished product to you exactly when and where you need it is a Pittsfield Plastics priority. Our logistics and scheduling system can handle your most demanding delivery needs. 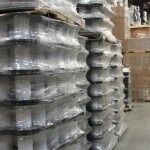 Whether your delivery is based on production, marketing, just-in-time or zero-inventory schedules, we make it happen. Our commitment doesn’t end until your finished parts are on your loading dock. If you have any feedback or suggestions on our service, please be sure to let us know – by email, phone or in person. We value your business.